If you are looking for a unique luxury experience, then you are going to love the Hotel V… We had the pleasure to get a fascinating insight from the hotel’s marketing manager. Diana Ghebaur: Can you tell us more about the Hotel V? What is so unique about the Boutique Luxury Hotel? 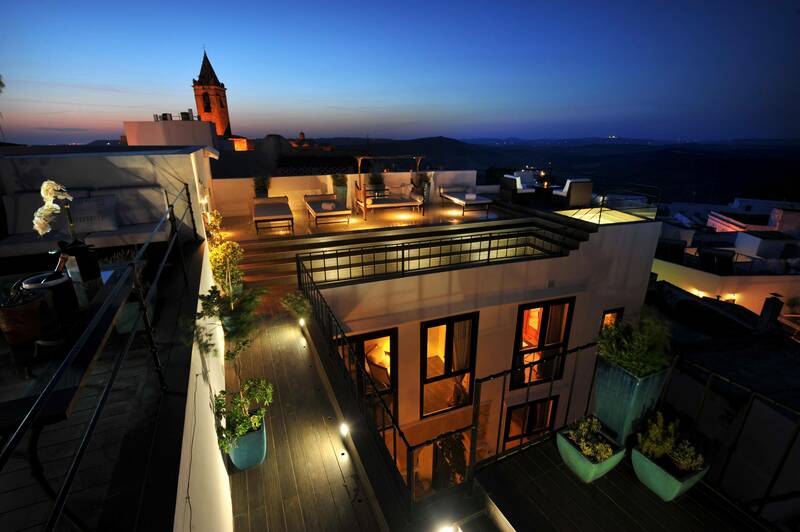 CeCe Levy: The hotel, which is located in the village of Vejer de la Frontera, opened its doors in February of 2008. 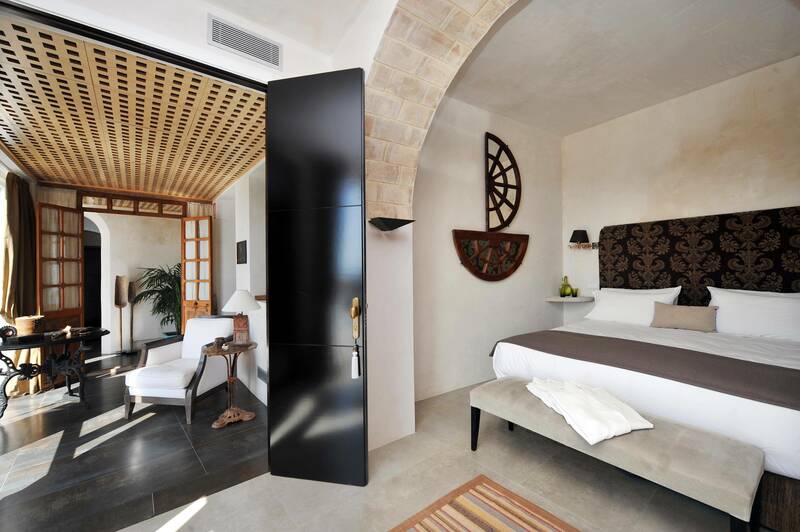 Hotel V… is a beautifully crafted boutique hotel renovated from a historic 17th century structure situated in the quaint village of Vejer de la Frontera which is the southernmost Pueblo Blanco in Spain. 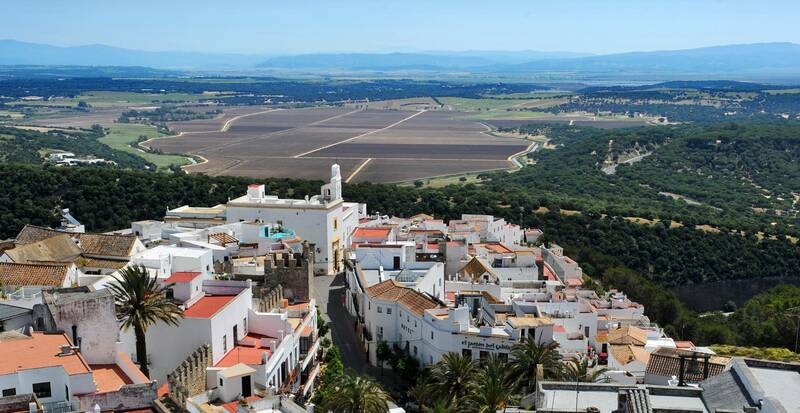 Vejer is a charming and picturesque Moorish village in the Andalusian region of Spain. 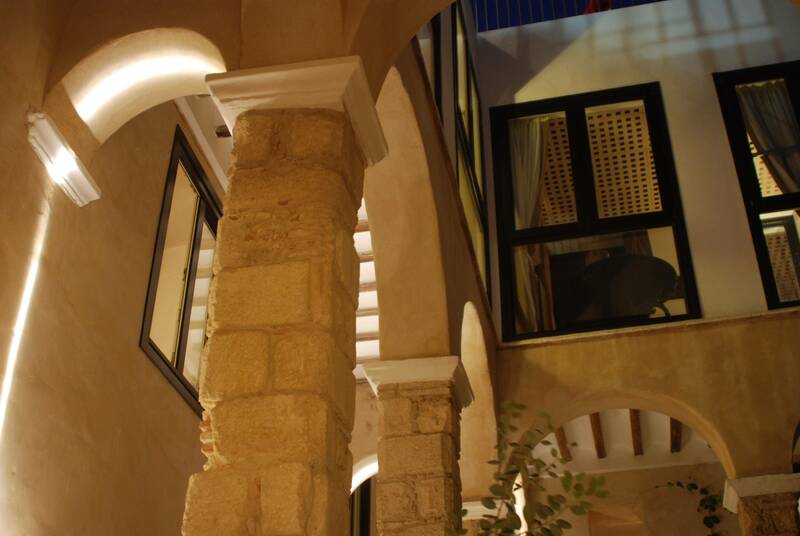 The interior of Hotel V… is comprised of subtle elegance and contrasts; it is warm and inviting but thoroughly modern. Each of the 12 guestrooms are peaceful yet avant-garde with extra large beds and antique Portuguese furniture, a result of the owner’s personal search through the Goan jungle. 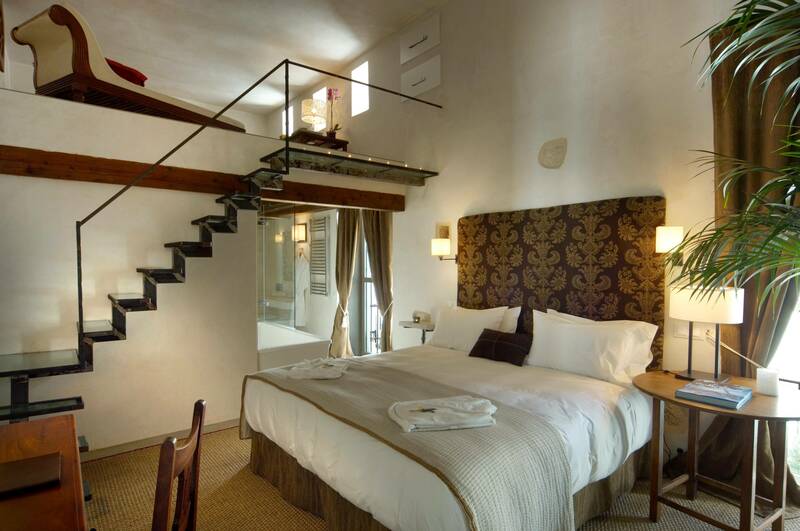 The guestrooms are furnished in teak and rosewood, have whitewashed walls, and polished concrete floors to create a warm, tranquil haven for complete relaxation. 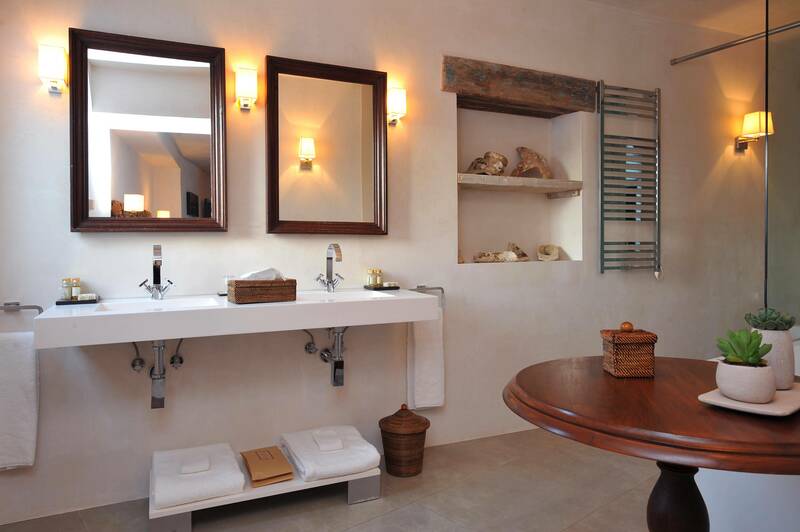 Each guestroom has a bathroom that is completely customized for maximum comfort. 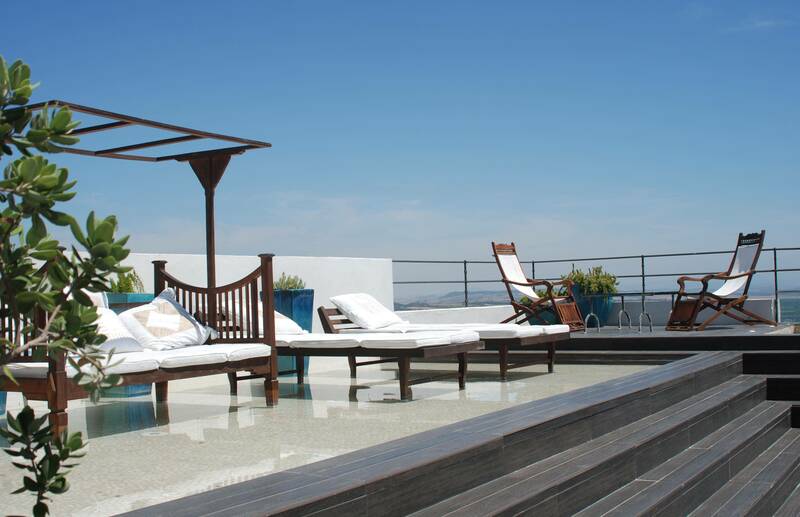 The major surprise is located above, on the rooftop terrace with its panoramic 360 degree views. This is a place especially created so that the best moments of the day can be appreciated, most notably at dusk. It’s a perfect place to wind down with a glass of cava or to soak in the Jacuzzi while gazing out at the Atlantic Ocean and the distant Moroccan coastline. The owner of Hotel V… is also the restorer and designer of the 17th century Spanish palacio and he understands well the needs of sophisticated travelers who expect only the best. With this in mind, he created Hotel V…, a small boutique hotel that brims with good taste for those who are seeking customized luxury far from the usual big establishments. He has set about to create a dynamic atmosphere that is small, elegant and unique. Diana: Which have been the key competitive elements of Hotel V that have contributed to its success up to today? Diana: History and modernism are an integral part of your brand. Having said that, how do you ensure this awareness especially in the emerging markets where consumers might be drawn more by aesthetics? CeCe: At Hotel V… history is meticulously blended with 21st century comforts creating a truly unique ambiance. 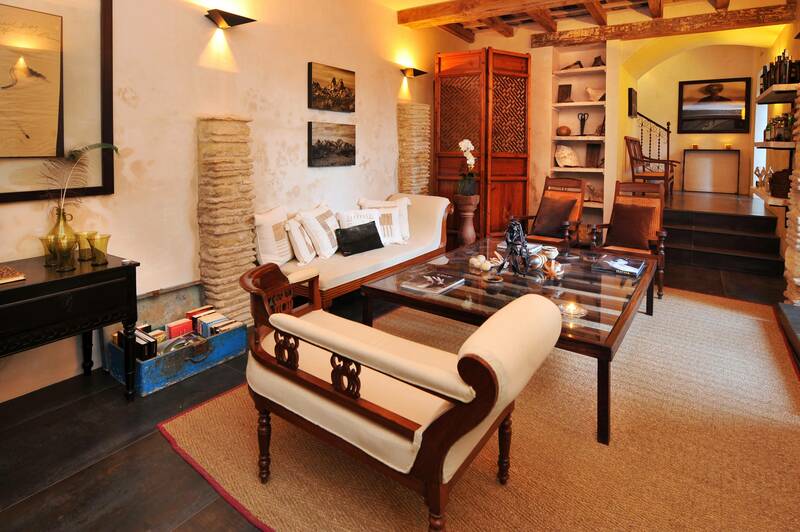 Modern conveniences such as flat screen TVs, WiFi, air conditioning and under floor heating all add to the comfort of each guest room and modernize the delightful history of southern Spain. The aesthetics of the hotel are one of the main reasons consumers are drawn to V… We believe that from the first discovery of our website, the text, the photos and video complete with original music custom composed for V…) all come together to create a feeling of what Hotel V… is all about – a magical, elegant and tranquil sanctuary. Diana: How has technology and media influenced the development of the hotel? CeCe: Having a strong presence on social media outlets such as Facebook and Twitter has been very important in reaching a diverse and international audience. Constantly sharing local events and festivities not only in Vejer but also in nearby locations, gives consumers an important overall picture of this region of Spain. Sharing videos, photos and information is key to consumer awareness. 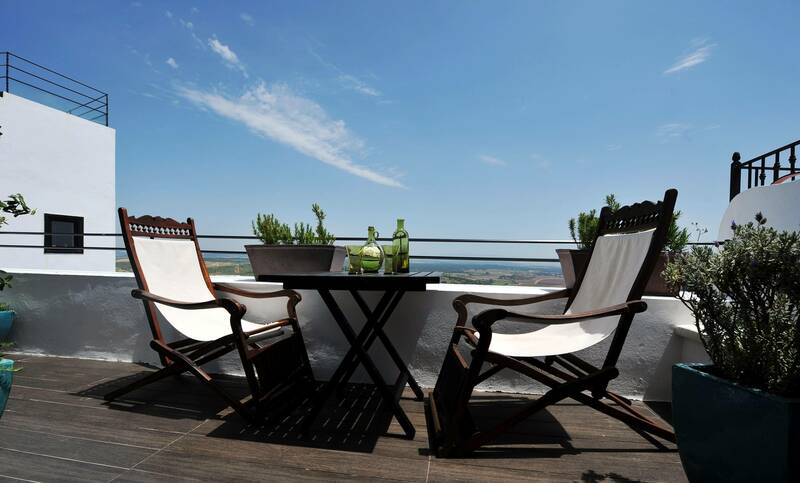 There has been an increasing media interest in Vejer through the past few years and we have been most fortunate that they have also featured Hotel V… in many of the articles. Vejer is developing rapidly into being well known for its fabulous restaurants and the many lively events throughout the town. Diana: To what extent is the younger generation a potential consumer for you? How do you ensure, in the long term, their understanding and appreciation of history and exclusivity / cultural knowledge / high-class-quality recognition? CeCe: The percentage of younger customers going to the more traditional hotels is decreasing compared to beautifully crafted boutique hotels. The market is changing and the younger internet savvy generation travel alot more and their communications are much faster so it’s important that the hotel has great internet exposure via the V… website as well as the social media outlets. They are searching for hotels where the architecture, design and materials are on-trend but that also offer comfort and tranquility. That’s why the creative combination of modern amenities with old architectural elements is so popular with the younger guests. We believe that our guests whether young or old, have done their research before arriving and have a good appreciation of the history and culture of Andalusia. 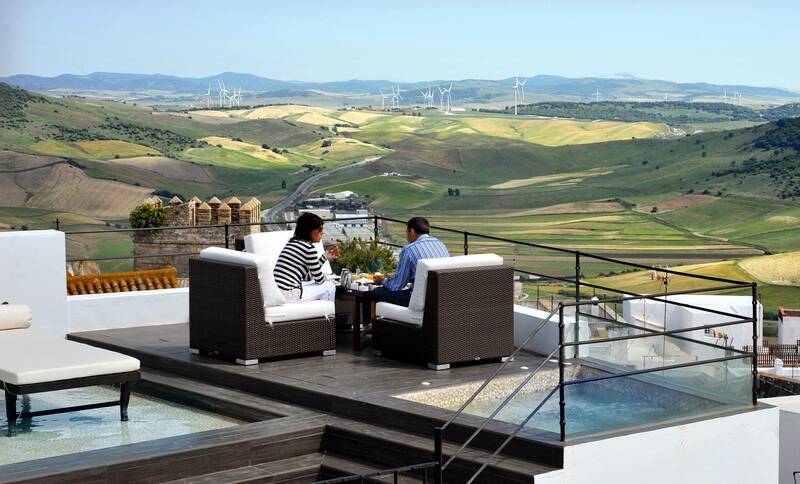 That quest for new and interesting experiences is what initially attracts them to the region and to Vejer. 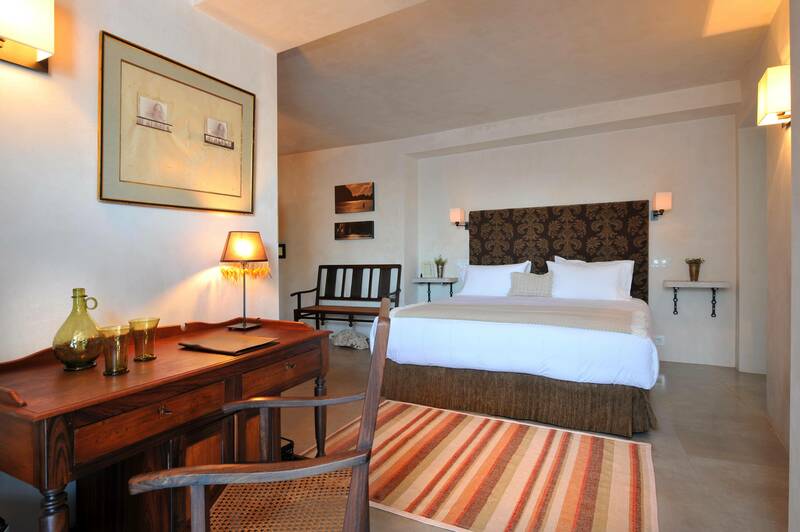 We, as a hotel, can then further assist them by offering suggestions of what to see and do in the region. In fact, the hotel partners with a private tour company that offers customized tours to some of the most authentic and beautiful places in Andalusia. The culture, architecture, history, traditions, art, gastronomy and the great outdoors of this region are well presented in these tours. Diana: What type of consumers does the hotel target? CeCe: Our guests are usually well traveled and sophisticated and are looking for something out of the ordinary. 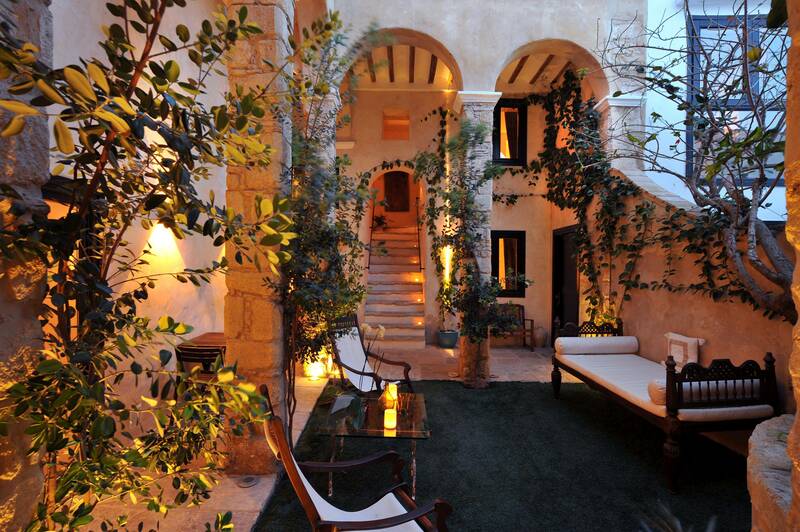 They want to experience the essence of Andalusia in an authentic environment. These are consumers who appreciate architecture, design and tranquility as an alternative to standard commercial hotel features. They are looking for an experience rather than just a hotel. Diana: The opening of the Luxury Hotel took place in February 2008. Which are the most important changes and challenges, in terms of what defines luxury service & facilities, as well as the way Boutique Luxury Hotels are sold and promoted today? CeCe: The ultra-luxury segment of the international travel market is changing. Gone are the days when giant commercial hotels create the same stir among well traveled and discerning clients as they used to. For this reason, the owner decided to create a dynamic, small hotel with much more attention to detail. The goal is to make guests feel at home, as though they were staying at a friend’s house and not at a hotel. The challenge was to create an atmosphere of pure relaxation but with a high level of service which we hope to have accomplished. Less and less are hotels promoted and sold exclusively through traditional travel agents. Guests have the ability to research and compare their travel accommodations online. Having a great website complete with videos, photos and a nice overview of the facilities and the region is extremely important. Consumers also rely more and more on reputable travel websites. Diana: Lastly, if you would have to describe the Hotel V in one phrase, which will that be? 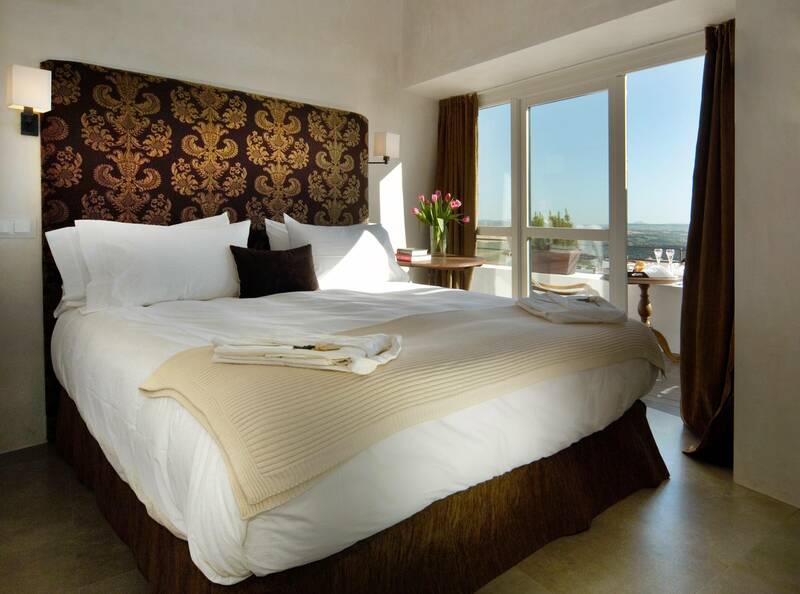 CeCe: Hotel V… is an elegant small boutique hotel located in the heart of the charming Andalusian village of Vejer de la Frontera in the south of Spain. For reservations, call Hotel V on (+34) 956451757 or book a room online.